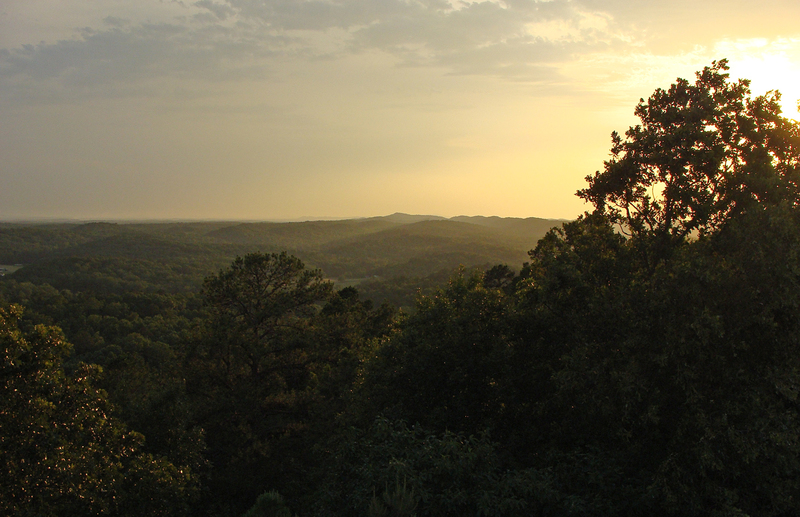 Just a few days before the summer solstice, the slowly setting sun gave light to the breath rising from the trees below. Twenty minutes in the brambles, 15 minutes prep time and 45 minutes in the oven. The cobbler, with its lemon poppyseed top, was well worth the chigger bites and scratches earned wading into the blackberry patch. 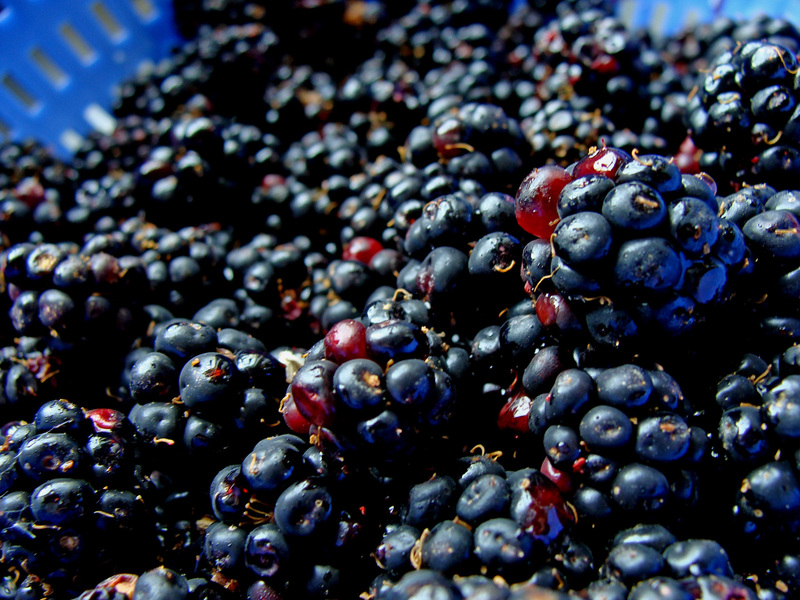 FRESH -- Wild blackberries were quickly domesticated into a cobbler. They look cute with their big dark eyes and their wee tiny feet, but make no mistake, hummingbirds are ruthless when it comes to protecting “their” feeder. Normally, it’s Napoleon or some other dominant hummingbird who chases the others away, but this morning, a big red wasp had succeeded in turning the pecking order on its head. 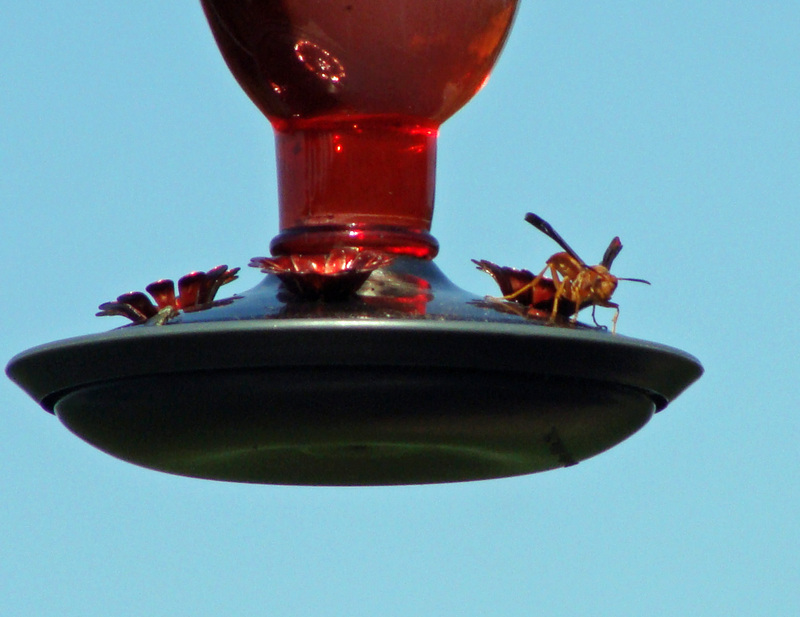 The wasp aggressively chased off every feathered rival, including Napoleon, at both feeding stations. The wasp met its match in the form of a flyswatter. It managed one comeback, but hasn’t been seen after a second strike. 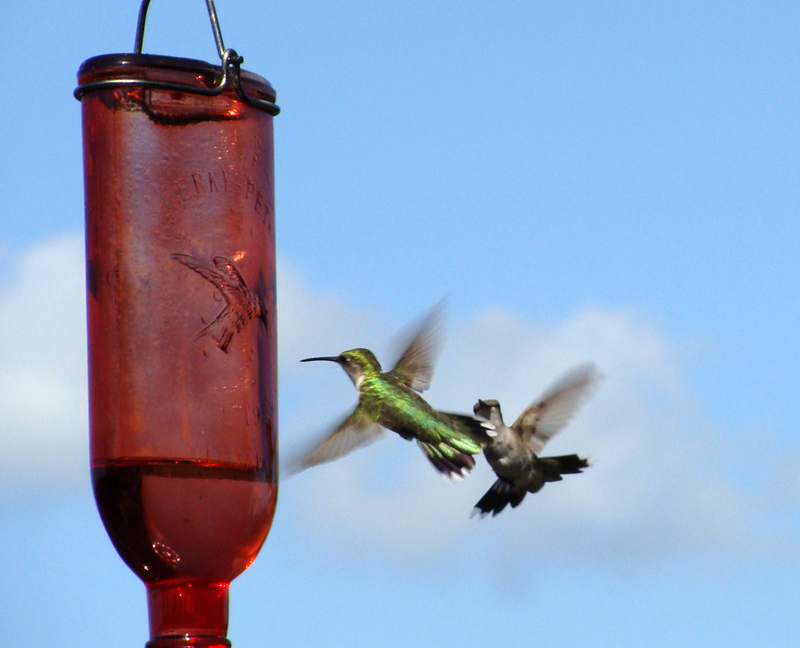 DOGFIGHT -- Two hummingbirds collide in a battle for nectar. 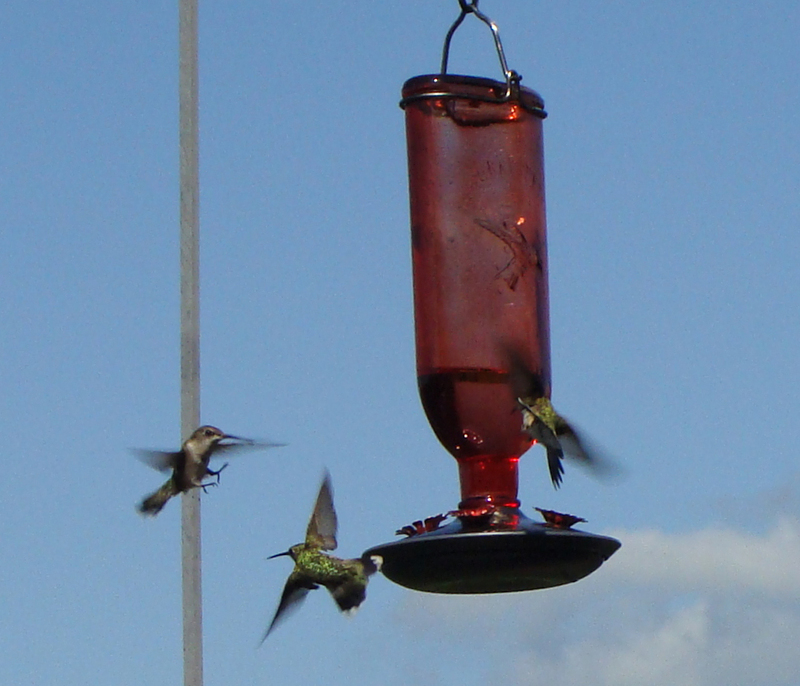 THREE FOR ALL -- Three hummingbirds battle for a chance at some nectar. MINE -- This wasp dominated the feeders for a good part of the morning. A good whack upside his head sent him off for some time, allowing the hummingbirds to return. While sipping our morning tea and coffee on the deck, rapt in the aerial battles of the hummingbird populations just inches away, this eastern bluebird gained the high ground — briefly. 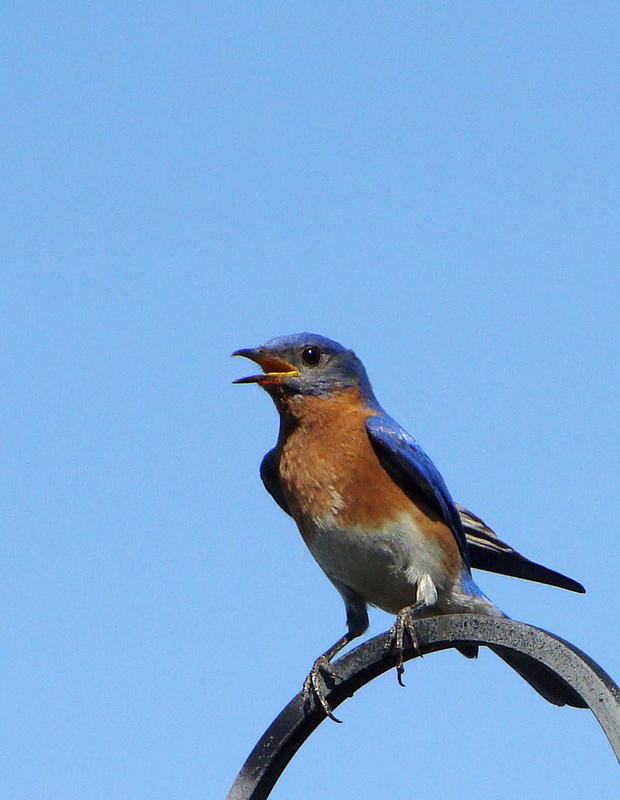 BRINGING HAPPINESS -- An eastern bluebird sings a brief song in the cloudless blue sky. Two random objects, a sprinkler and a wild grass seed panicle, united by two things: 1) they represent different facets of our current near-drought and 2) their graceful arc. 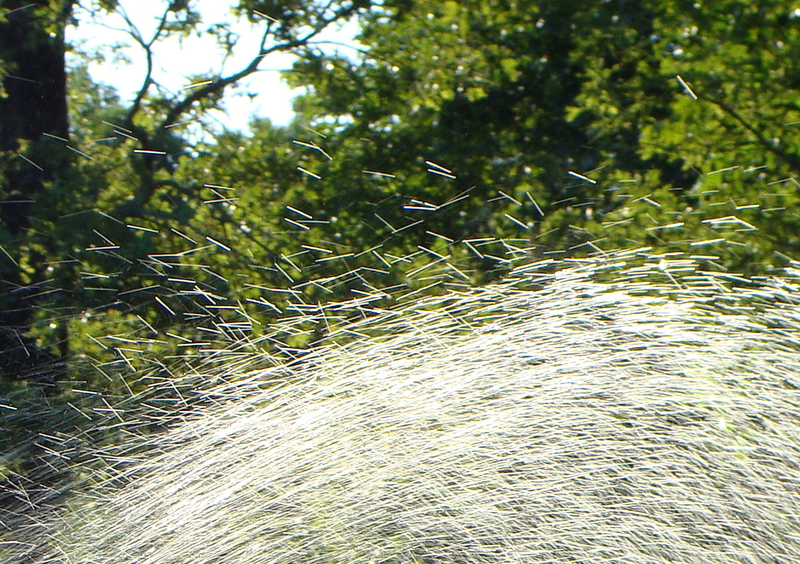 ALL WET -- The trajectory of the sprinkler's flow is backlit by the morning sun. The limited manual capabilities of the camera rendered the drops in short streaks. 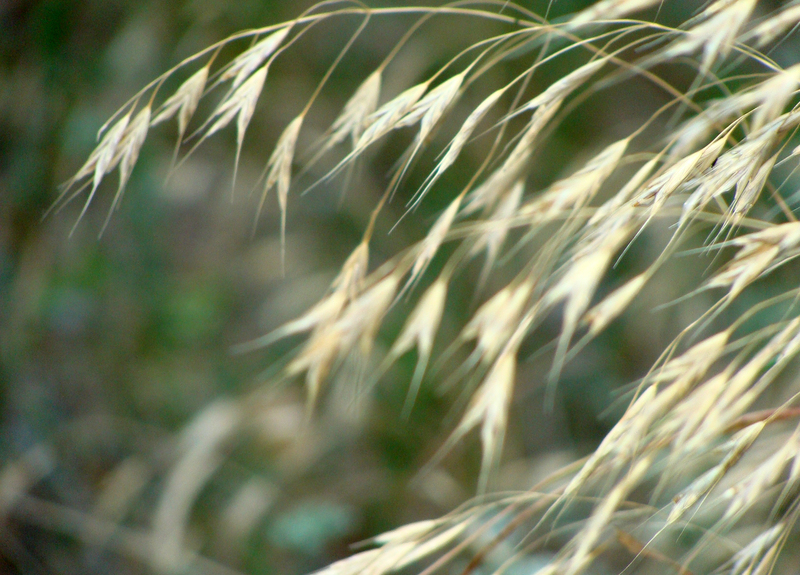 DRIED OUT -- These seed panicles reach over and down, offering a tempting meal for the avian population. 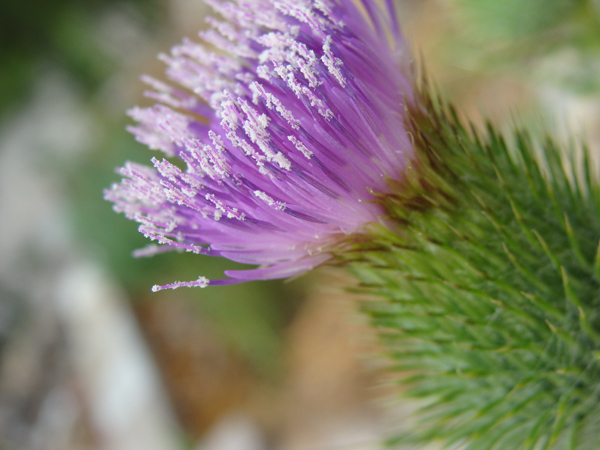 Derided as weeds in many places, thistles can be quite both brightly charming and an effective biological weapon of sorts. The Scots adopted the thistle as a national symbol in the 13th century thanks to the role they played in thwarting a Viking attack. As the story goes, a party of raiding Norsemen removed their shoes, hoping to launch a silent attack on the sleeping Scots. Running aground on the land urchins, the Norsemen’s howls awoke the Scots, who defeated them. SNOW DUSTED LAVENDER -- Beautiful, but handle with care. ON THE SMALL SIDE -- Real corn producers will shudder. 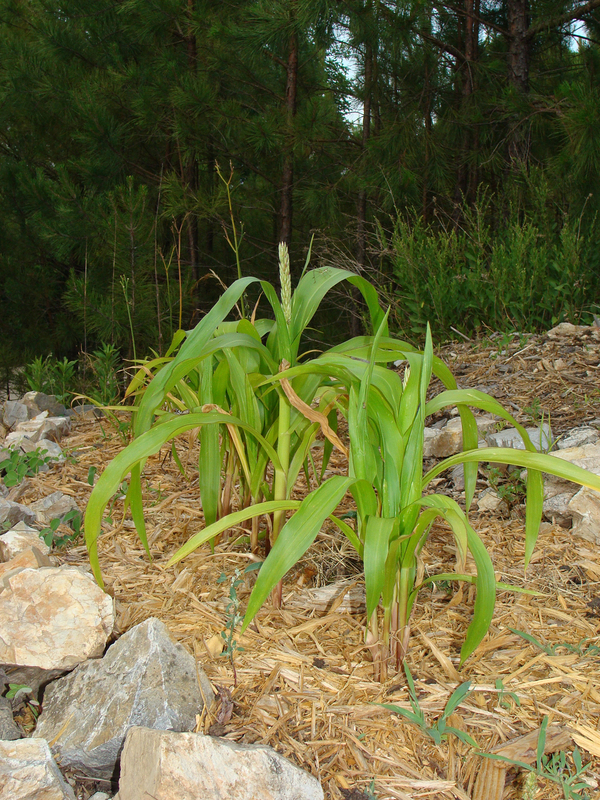 The planting density is too great and who on earth uses mulch around corn? Still, we're just pleased the corn came up and seems to be living happily between the basil, lavender and rosemary. 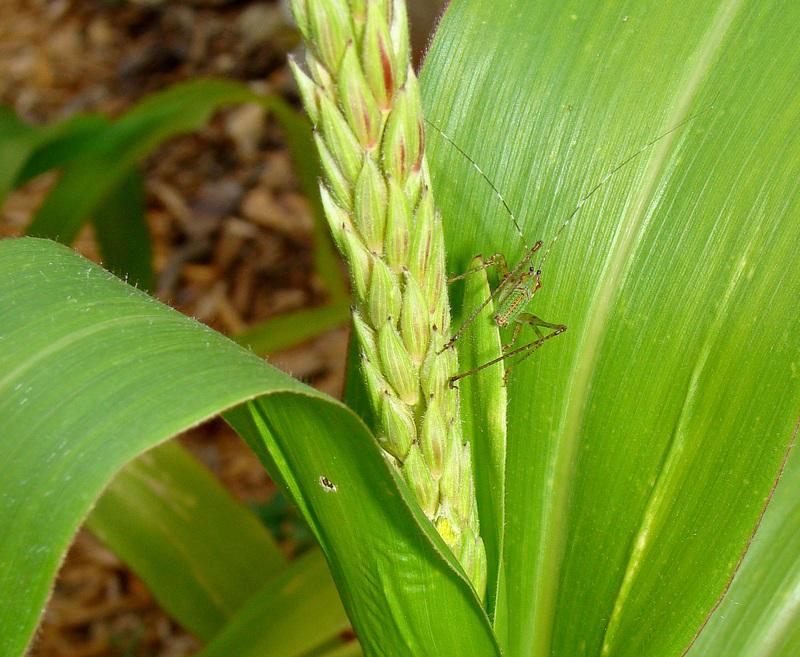 WELL HIDDEN -- A green grasshopper matches his surroundings, taking refuge in the broad leaves and whorls of suburban corn. 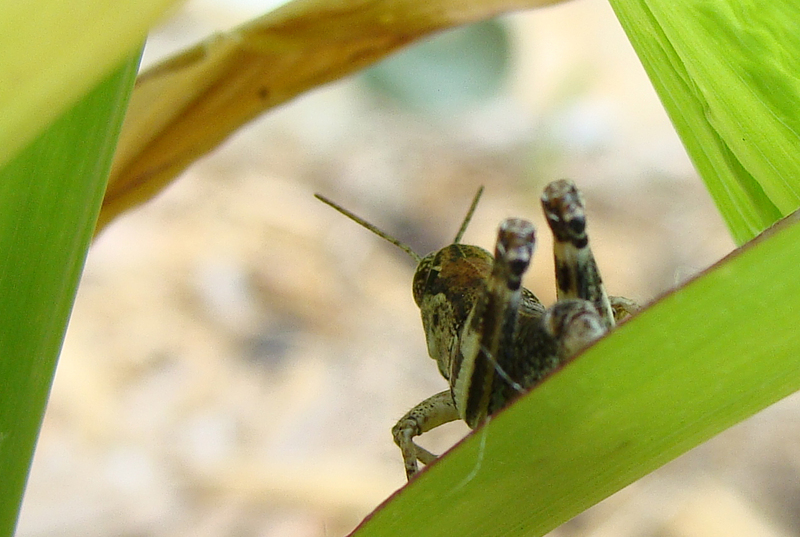 IN THE SHADE -- A brown grasshopper takes shelter in the arches formed by the corn plant's broad leaves. 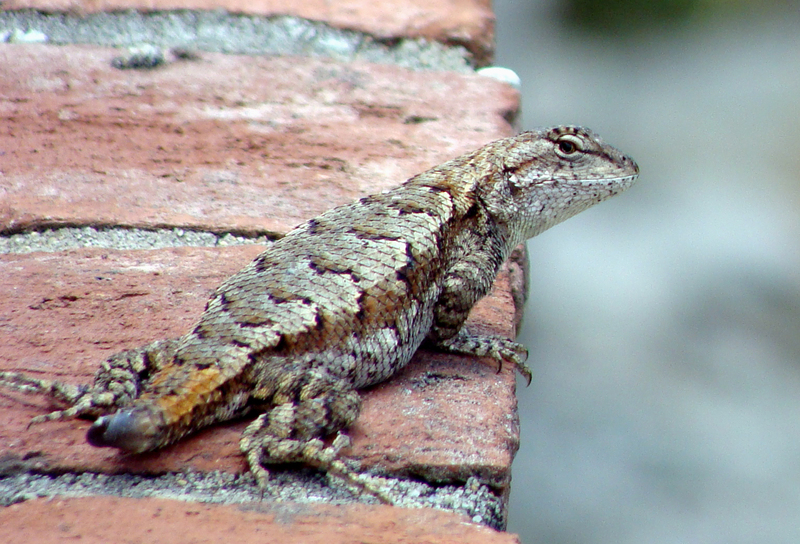 The local lizards enjoy the warm sunny days and the warm bricks and rocks of the Arkansas Ouachitas. A bird or other predator got to this lizard's meaty tail before the photographer. 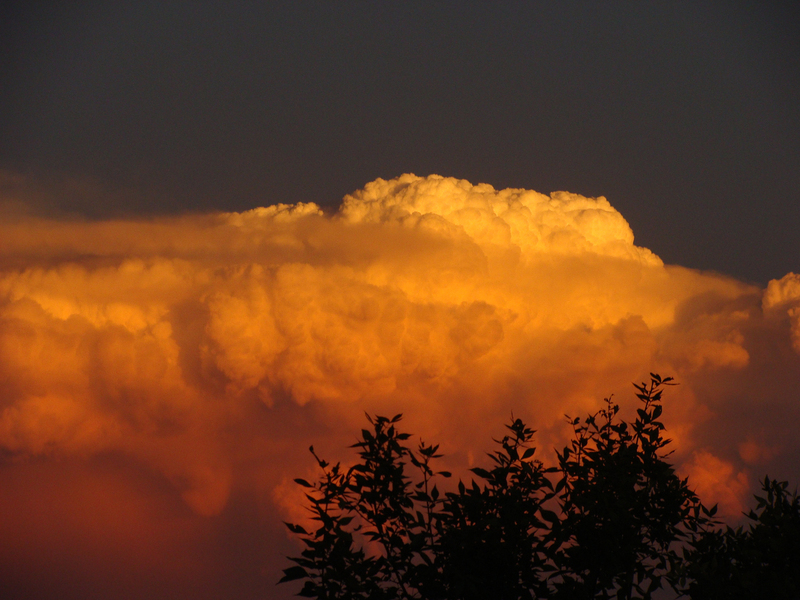 Summer’s pop-up thunderstorms can be spectacular, whether you’re under the cloud watching its power or scores of miles away watching the cloud expand and evolve with convection and eventual dissipation. This June 15 storm was apparently a favorite for photographers. 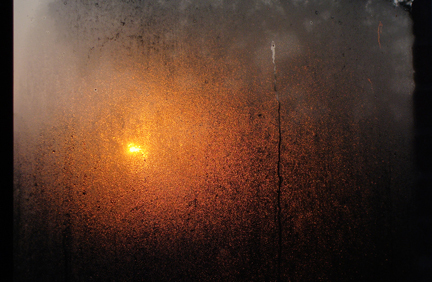 KARK had many viewer photos of this storm from different parts of Arkansas. 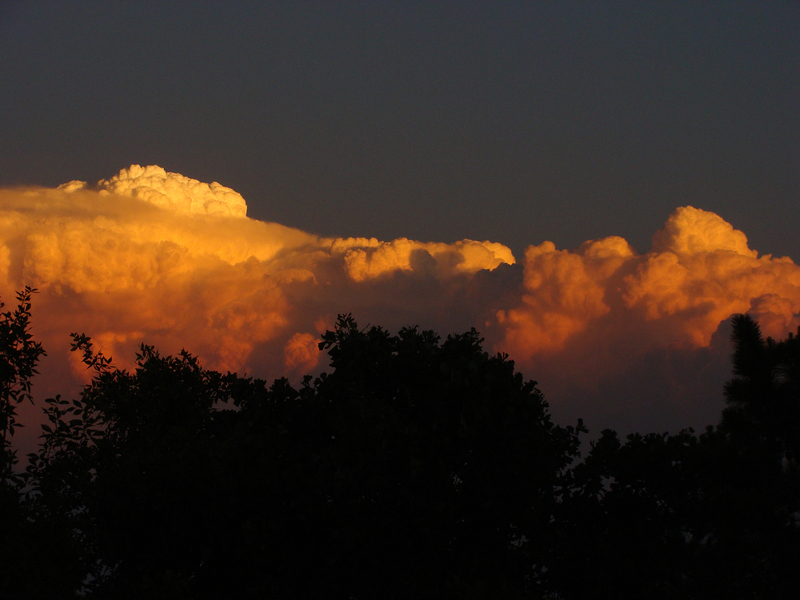 This storm, its billows defined by the setting sun, traveled west-southwest, over Dallas and Cleveland counties. It looked like a snow covered range from 80 miles away. A close up of the most active part of the June 15 storm. This head was lit from within by lightning. Fire takes many forms, interpreted many ways. FIRE IN THE SKY -- The fireball that keeps us warm, drives our climate and lights up the aurora borealis, had a groggy red look this morning as it tried to cut through the low ceiling and condensation. 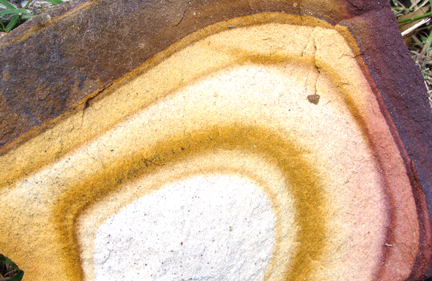 SET IN STONE -- As if the earth captured what it saw above in a sunrise. 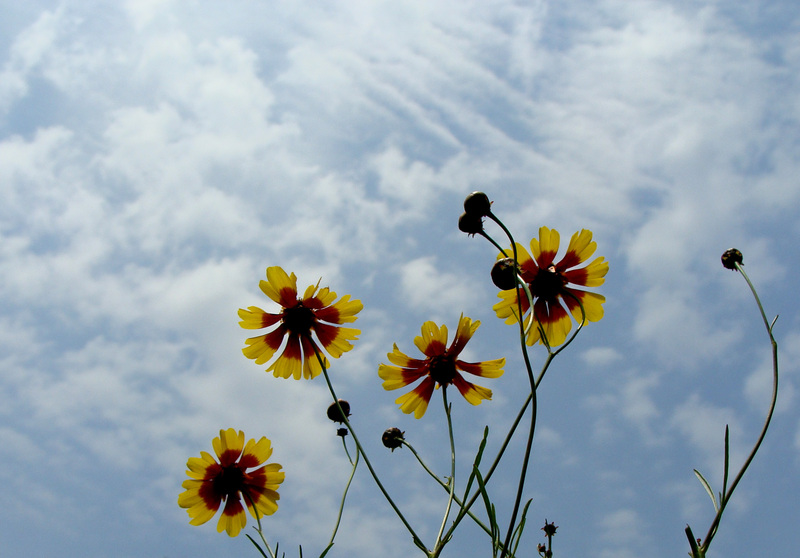 FIRED UP -- Firewheels, a native to Arkansas, reach for the sky.